Belfast and Northern Ireland suppliers of bark mulch and firewood. 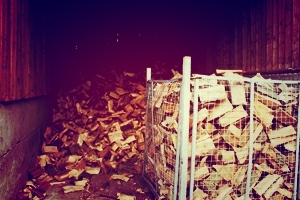 M.Large have been supplying firewood for many years now. With the burgeoning Northern Ireland market for wood energy appliances like boilers and stoves, our sales of bulk and bagged firewood have seen huge increases in the last few years. Bulk Firewood is usually sold by volume and not weight to allow for varying moisture content in the wood (we wouldn’t want to charge you for rainwater!). If you haven’t the storage or transport facilities for bulk firewood then we also stock and sell firewood in net bags to conveniently throw in your car boot. Whether it’s a few logs for the fire, or a trailer load of hardwood to season and stock for next years burning, our firewood sales department will ensure you a supply of convenient sized logs to suit all your needs. Did you know that Kiln dried firewood only provides about 10% more heat than seasoned firewood, yet people are still paying up to 90% more than for good quality seasoned firewood. Specialist wood supplies for catering and food flavouring. 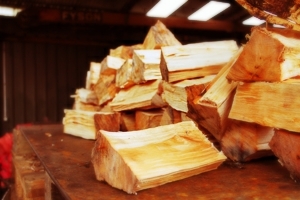 Make M.Large your firewood supplier for a quality product, sound advice and value for money. 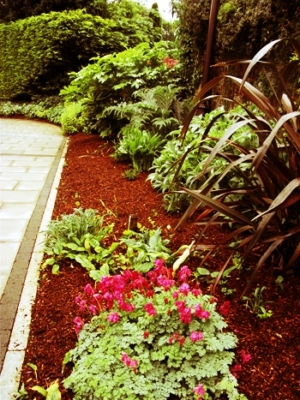 What is Tree bark Mulch? 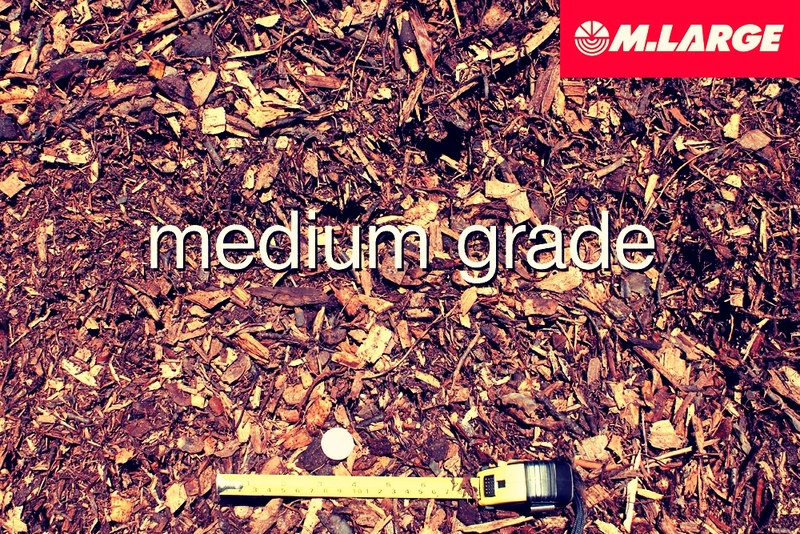 Tree Bark Mulch chippings are a by-product of tree felling and pruning operations. When machine shredded, tree bark mulch can used fresh for play areas, garden, pathways, horse gallops/riding areas and in some cases animal bedding for customers throughout Northern Ireland. 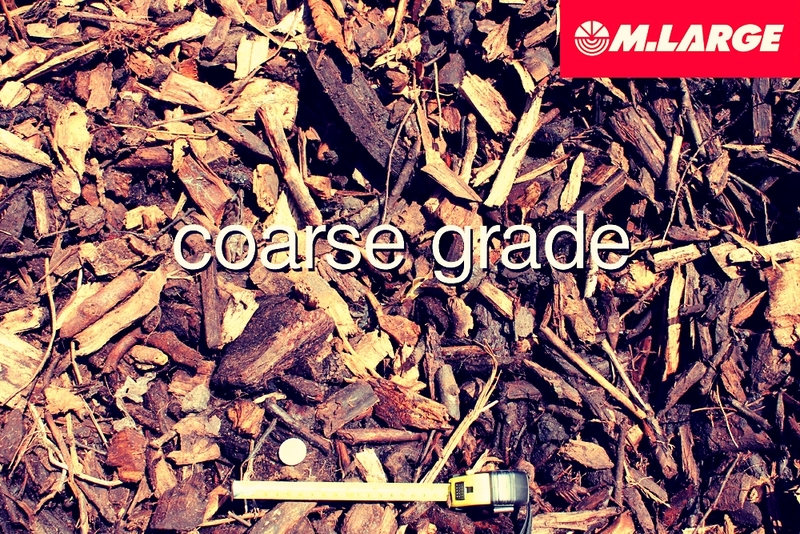 When composted and graded it is ideal for horticultural operations. 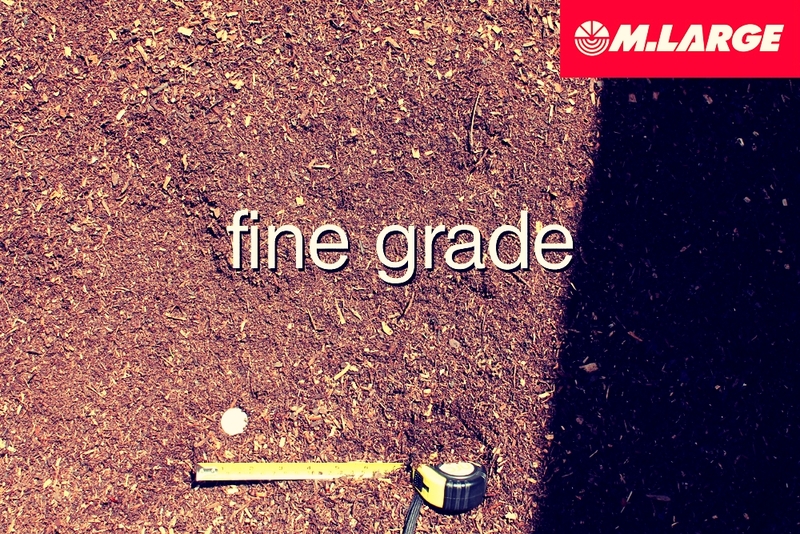 We scrutinise and process our tree bark supplies into 3 separate grades according to the size of the chips. 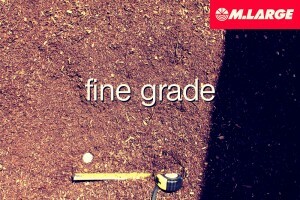 The differing grades offer both alternative applications and aesthetic appearances and will vary in cost accordingly. A peat substitute can also be obtained, by further processing, to produce a pleasant viable and entirely organic material. These materials are available from our Newtownabbey wood supplies yard in bags or bulk at very competitive prices. 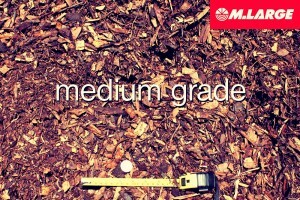 We supply both public and private customers and the tree bark mulch is always available from our depot. 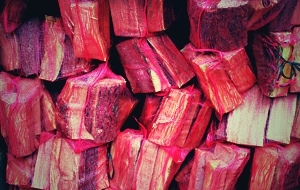 We can also deliver tree bark for the garden in bulk loose loads. Mulch is delivered by the cubic metre. To give you a guide, one cubic metre will cover 10 square metres at the recommended depth of 10cm. A next day delivery service can usually be provided. 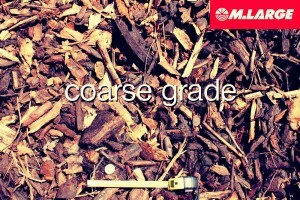 What use’s does Mulch have? Helps to keep down annual weeds. Retains soil moisture throughout the summer. Replaces essential organic matter, used as nutrients continually by plants. Can be used for woodland paths and riding areas. Looks better than bare soil. As a general rule, mulch that is produced when there are leaves on the trees is good for mulch, whereas during the winter season most of the chips are leaf free and excellent for paths and riding areas. All our products are environmentally friendly and from renewable resources. message us on our contact page.